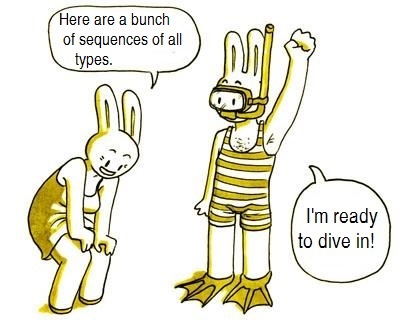 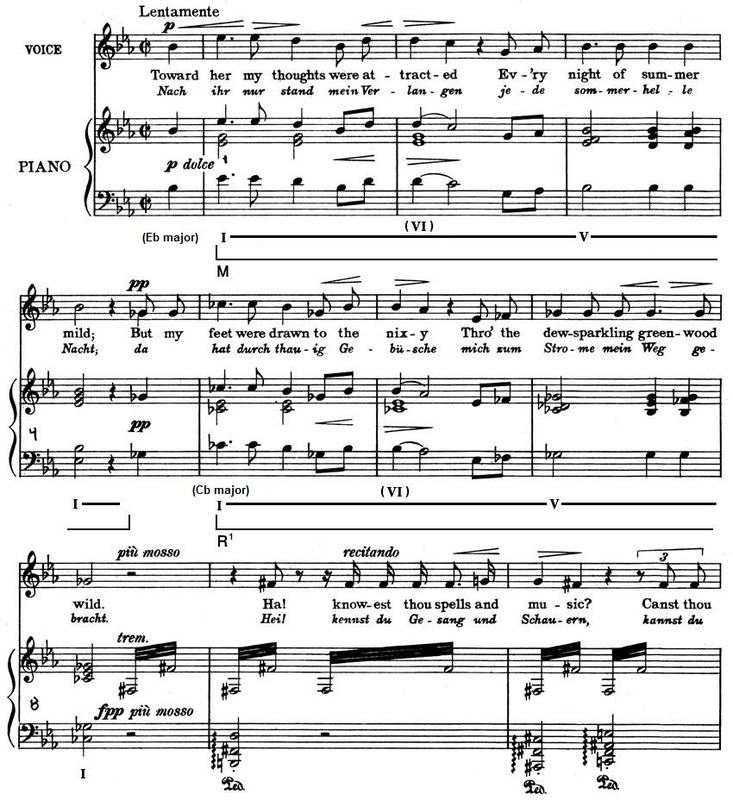 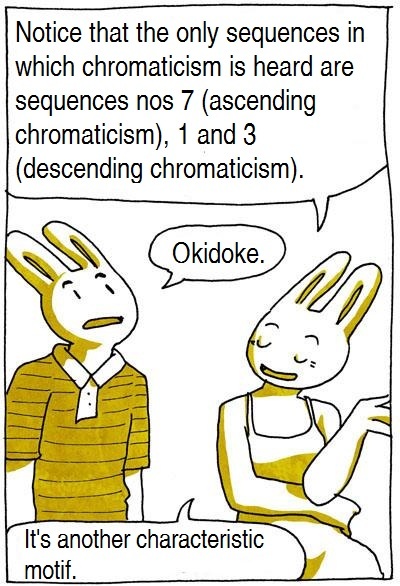 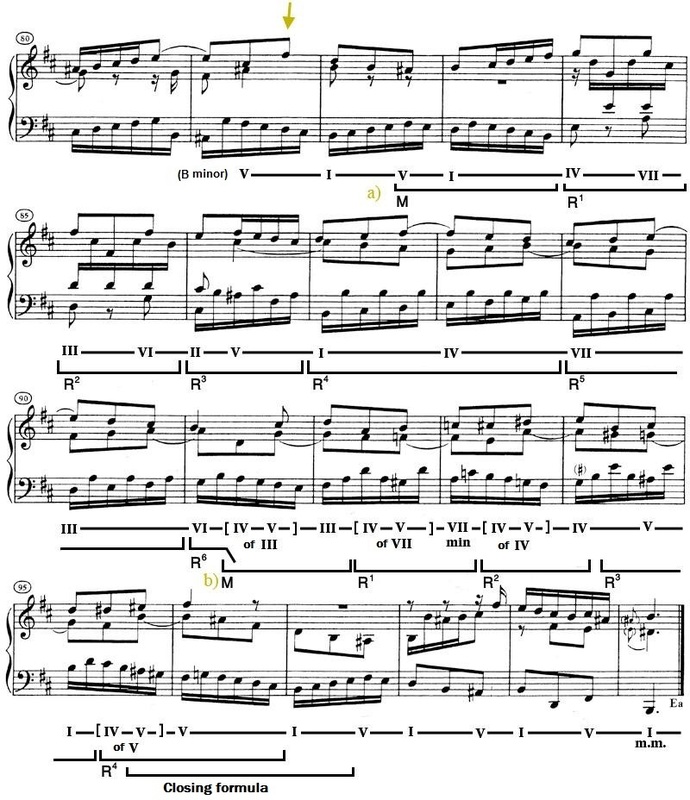 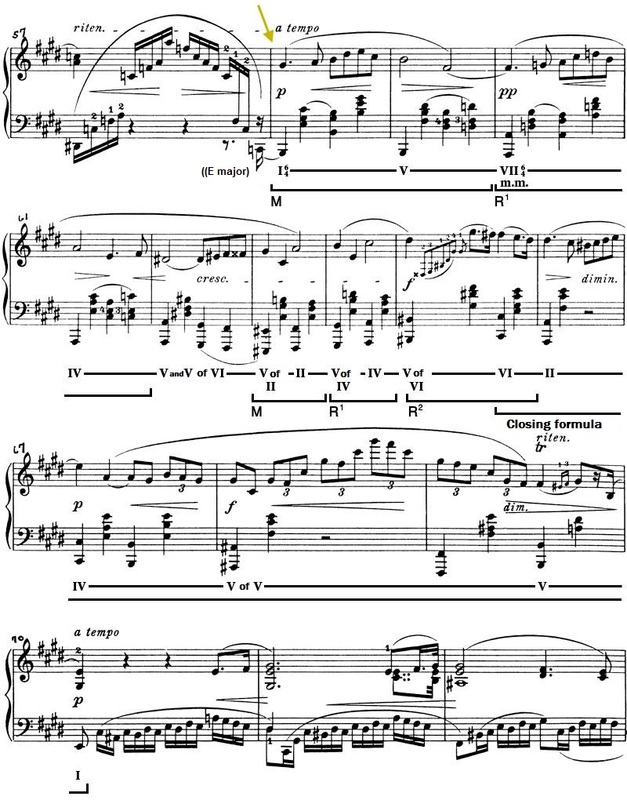 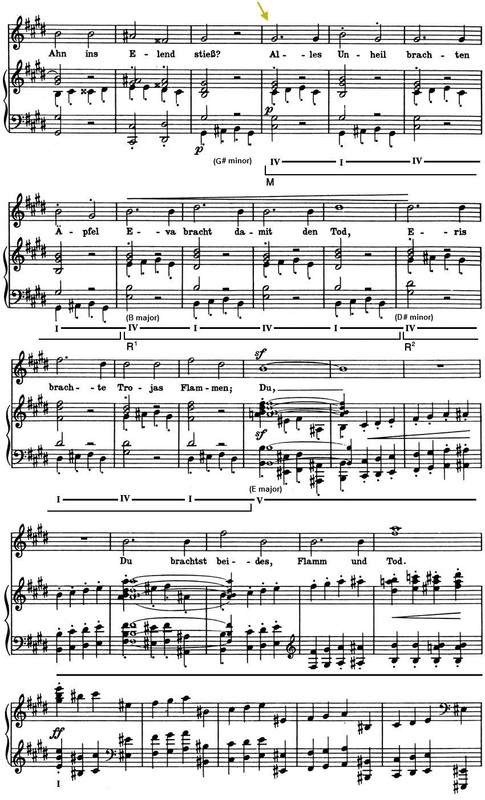 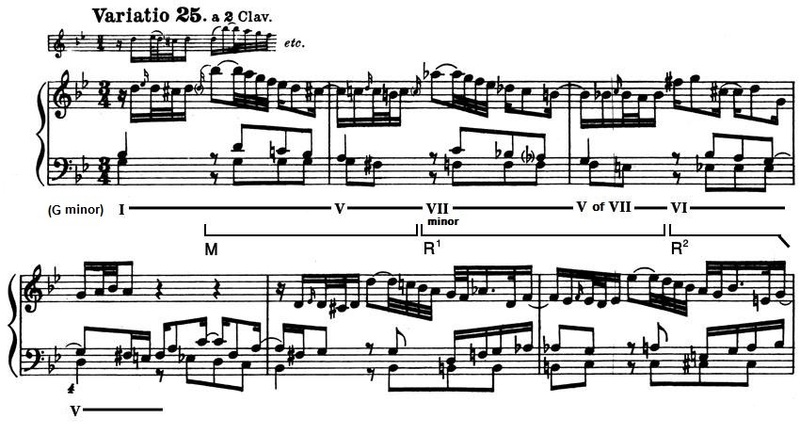 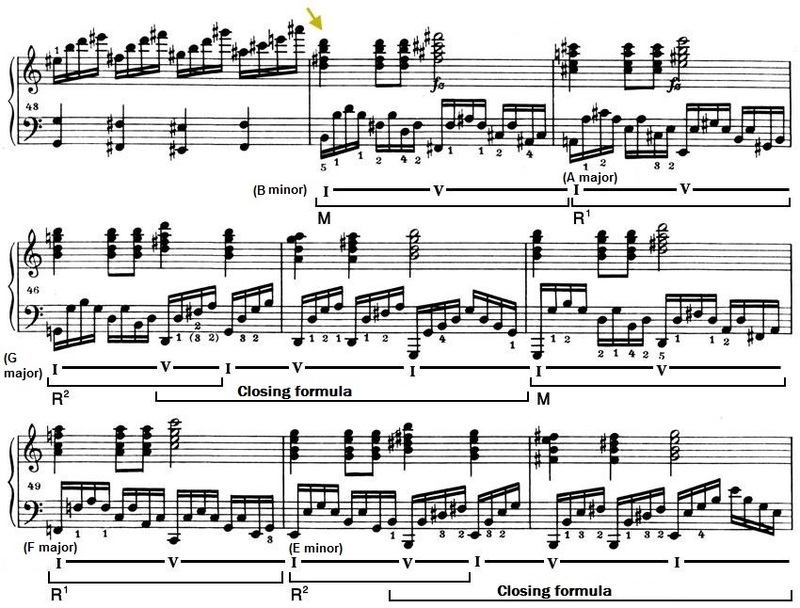 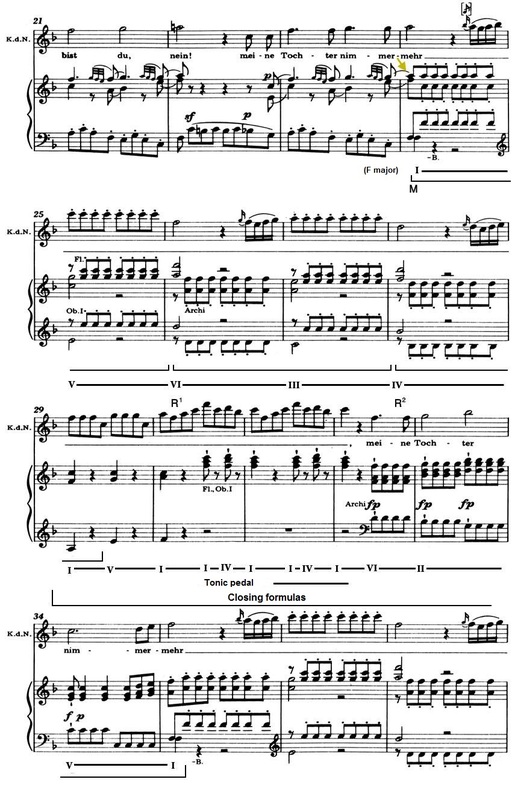 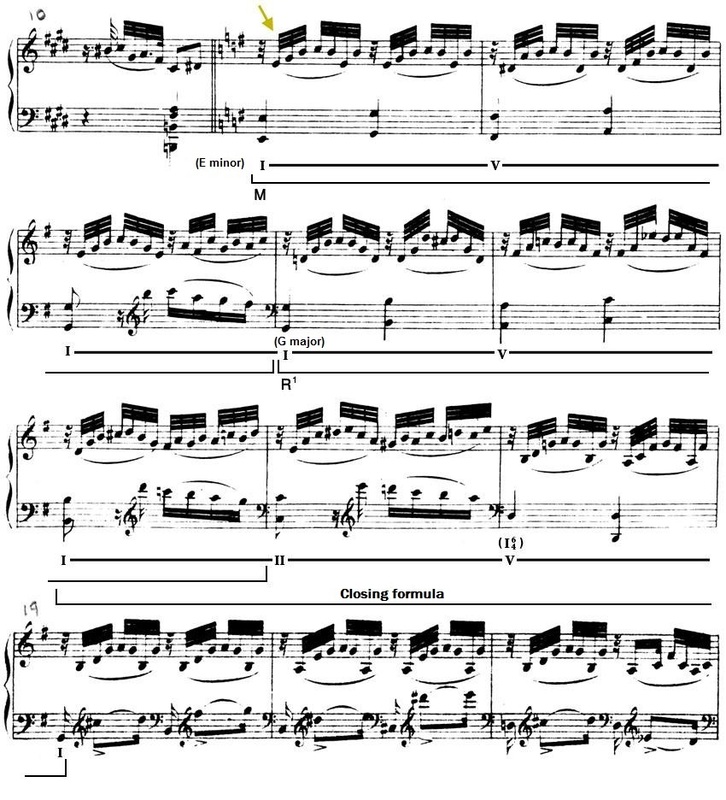 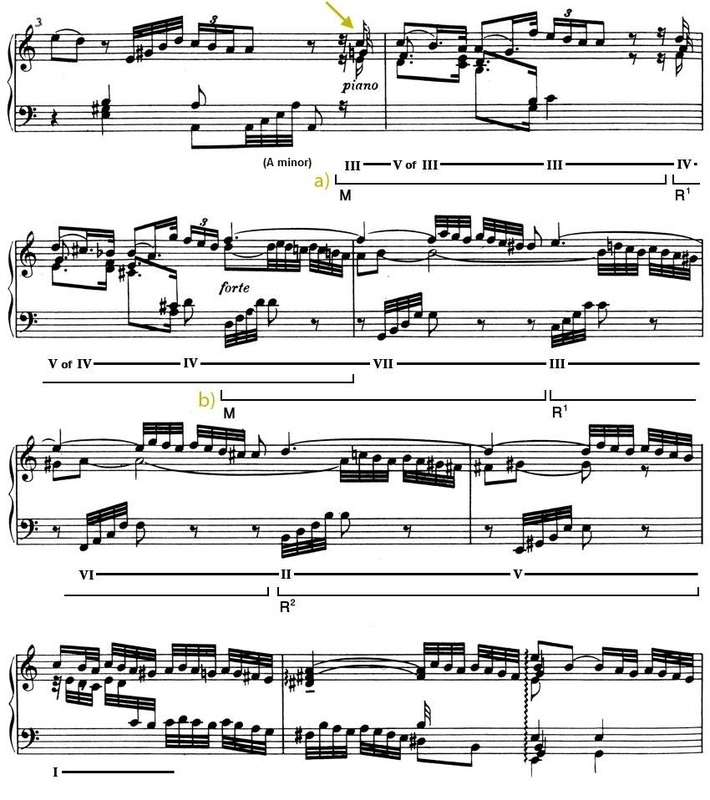 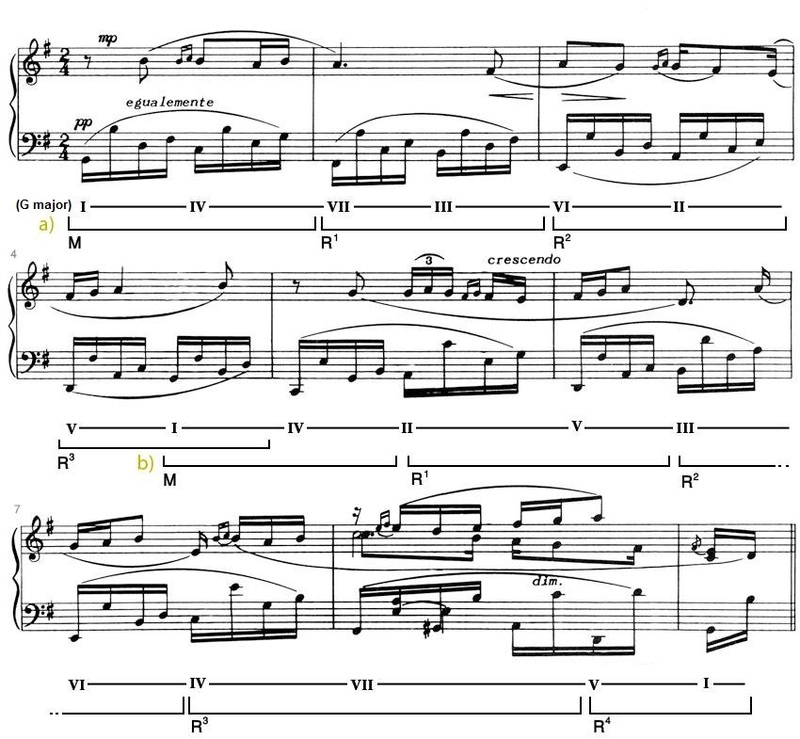 In order to sum everything up, we will first present, to be seen and heard, 30 texts from the tonal repertoire that illustrate all the classified types of sequences, taking into consideration that the section devoted to harmonic sequences concentrated on the types of sequences that recur most frequently (nos 1, 4, and 7). 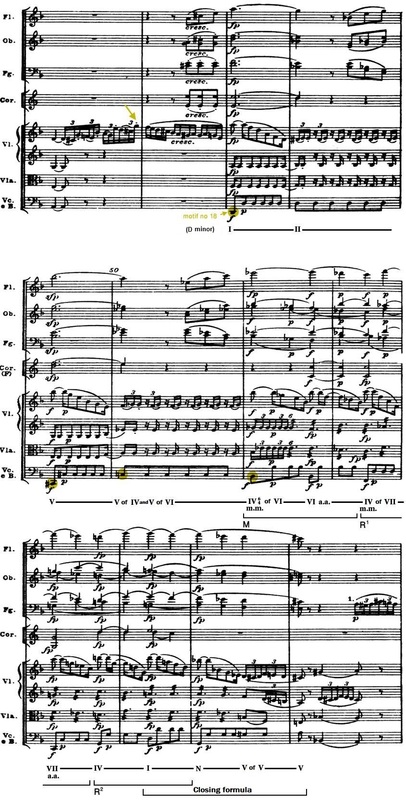 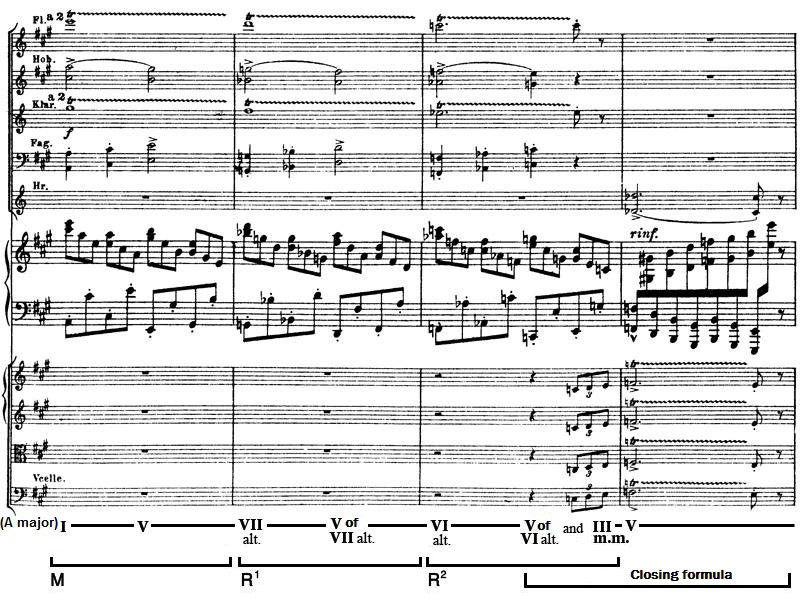 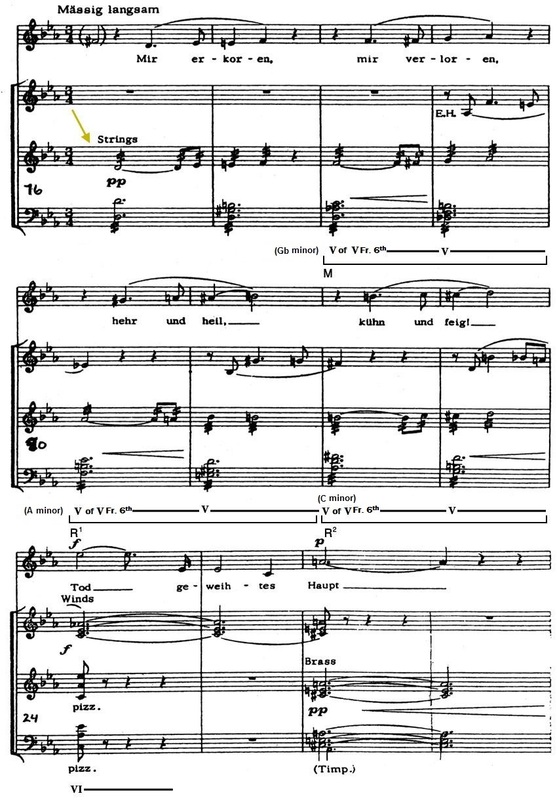 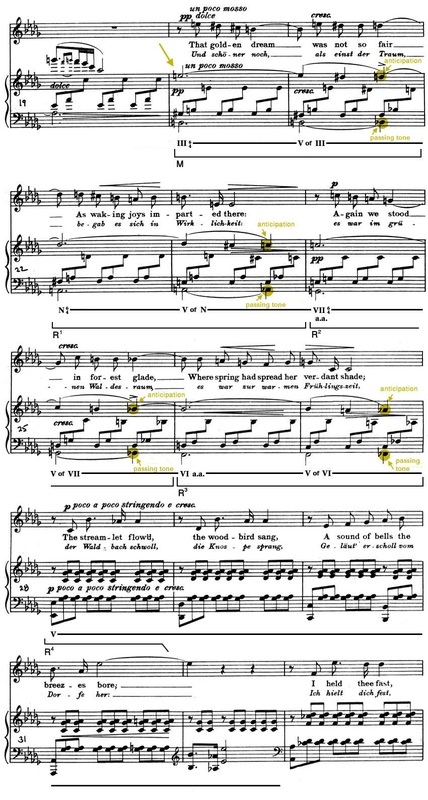 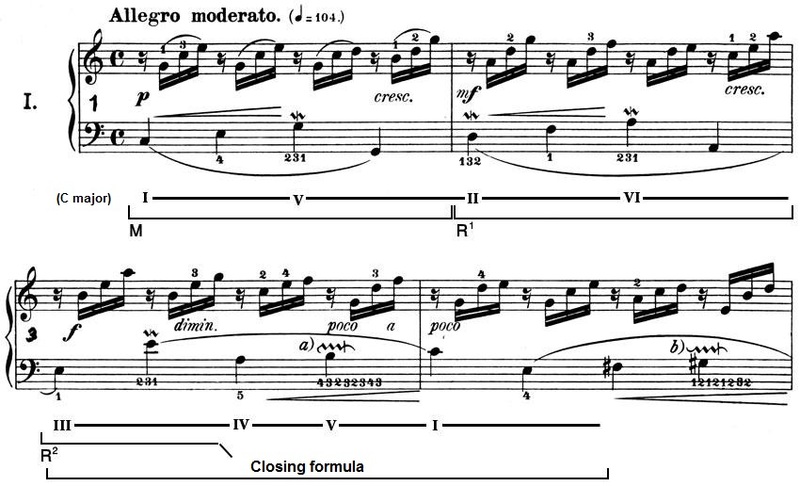 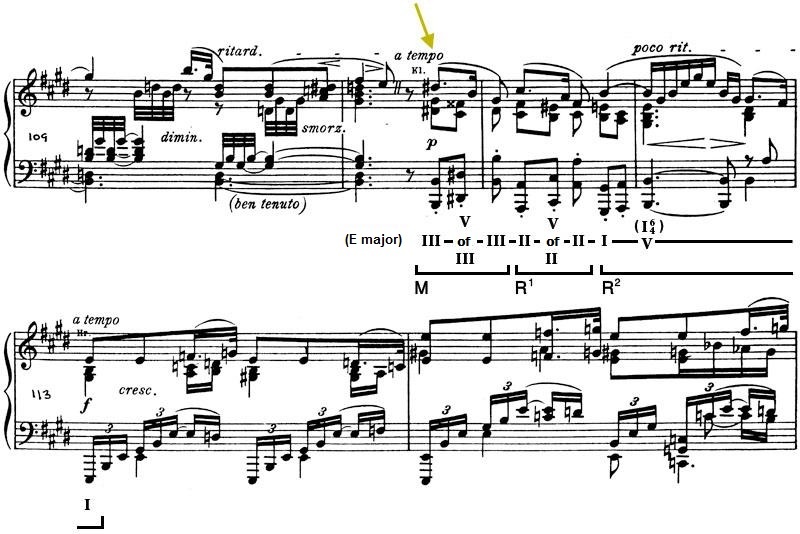 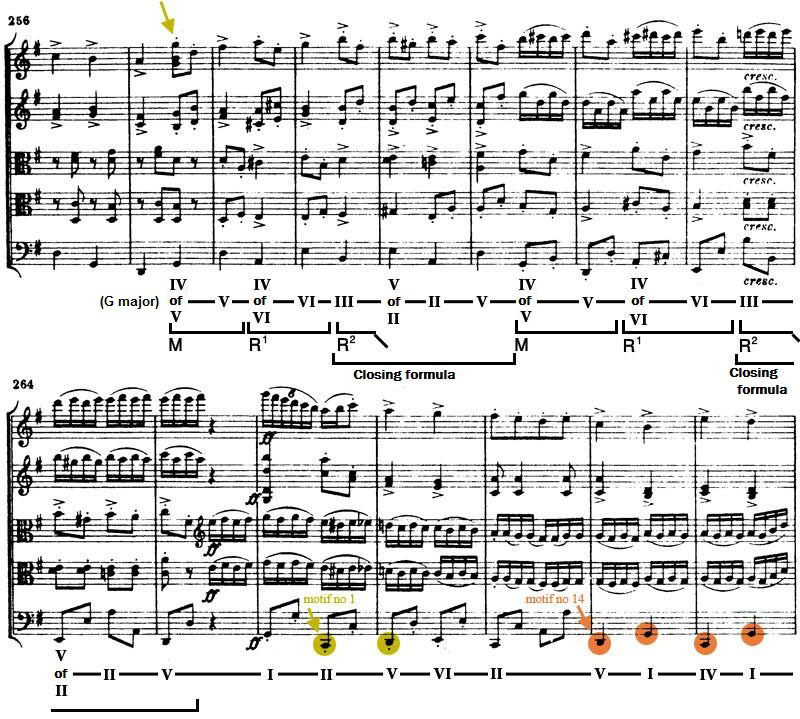 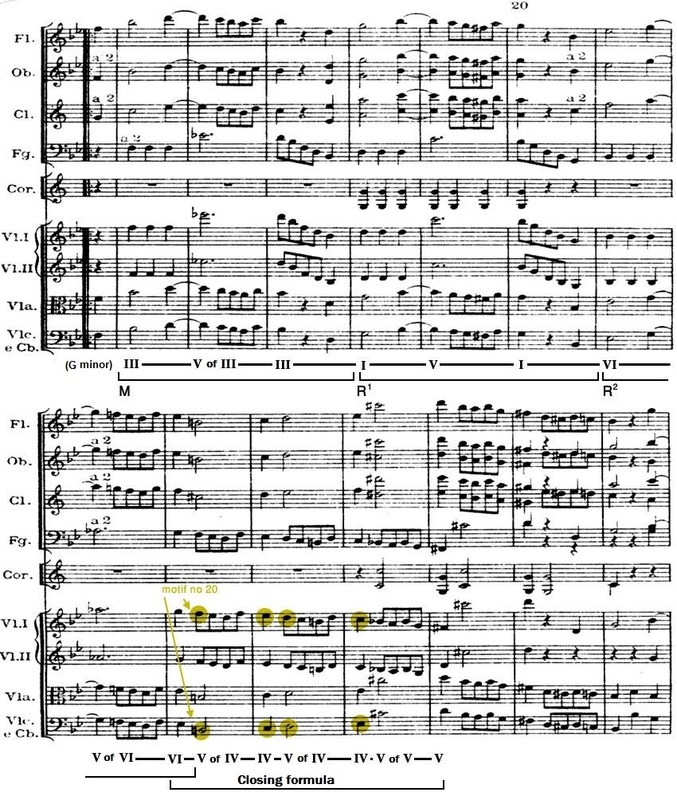 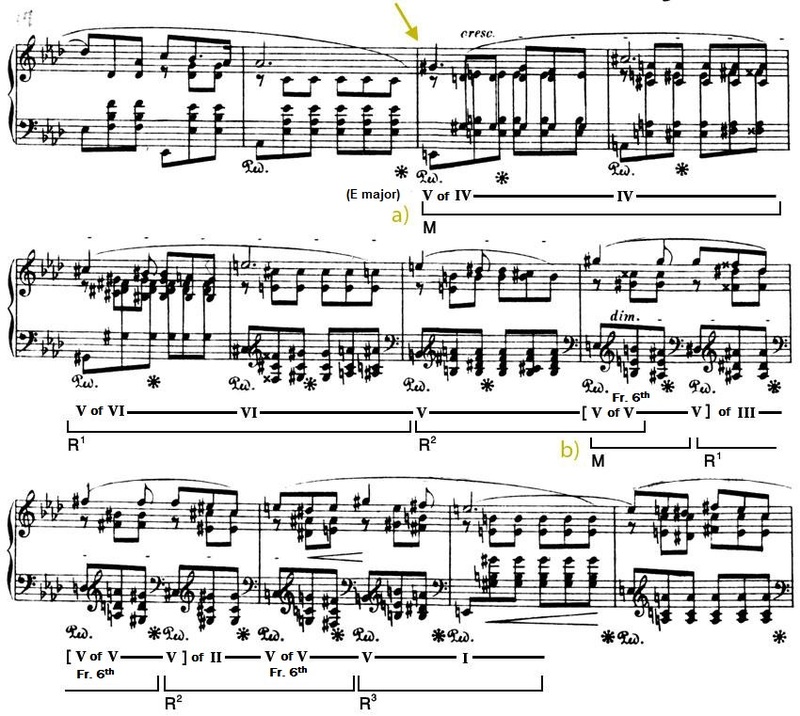 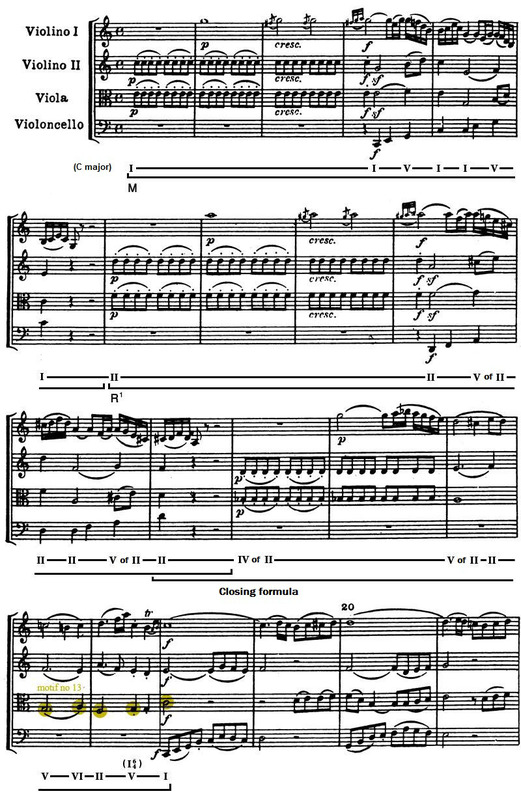 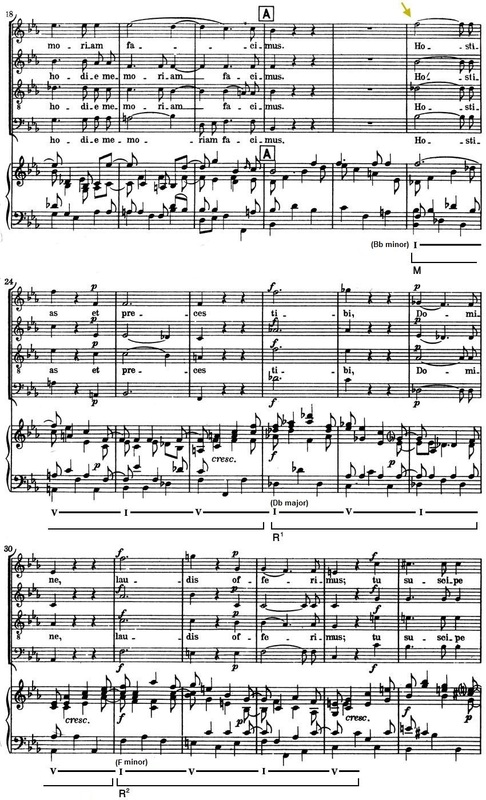 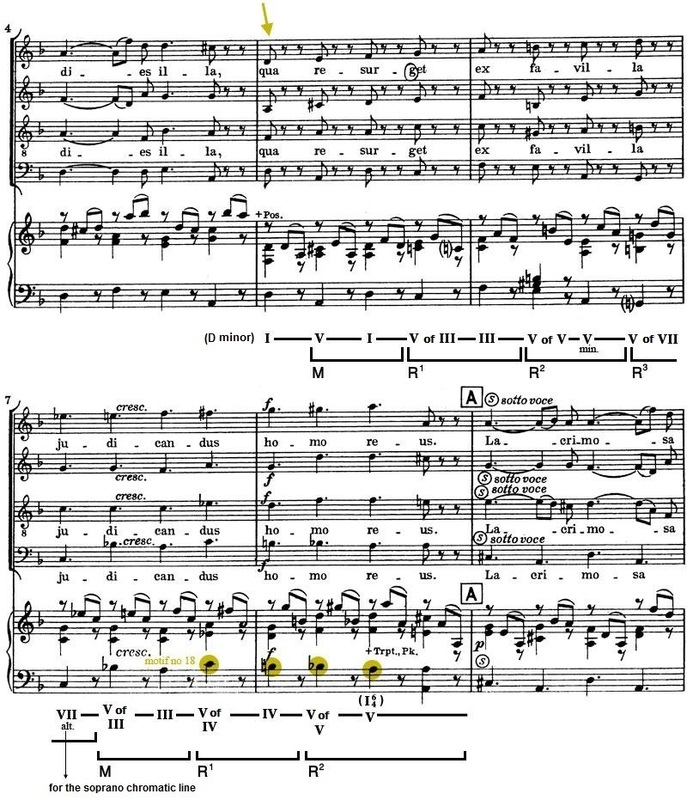 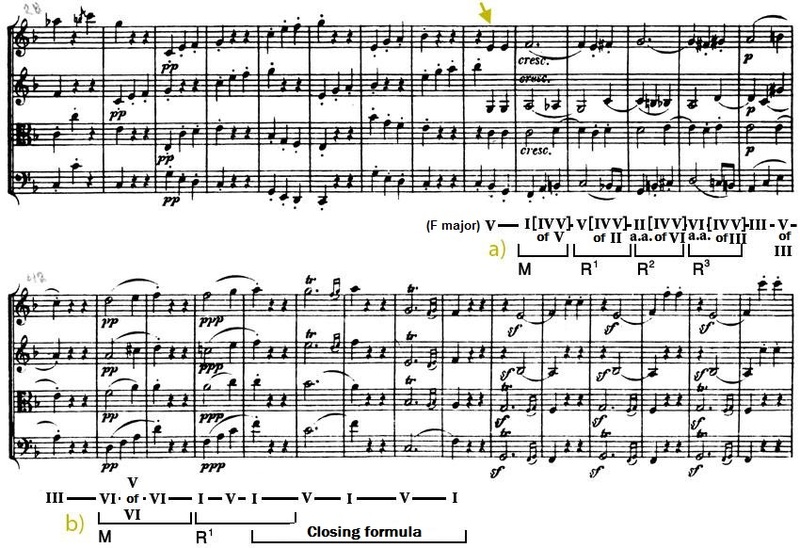 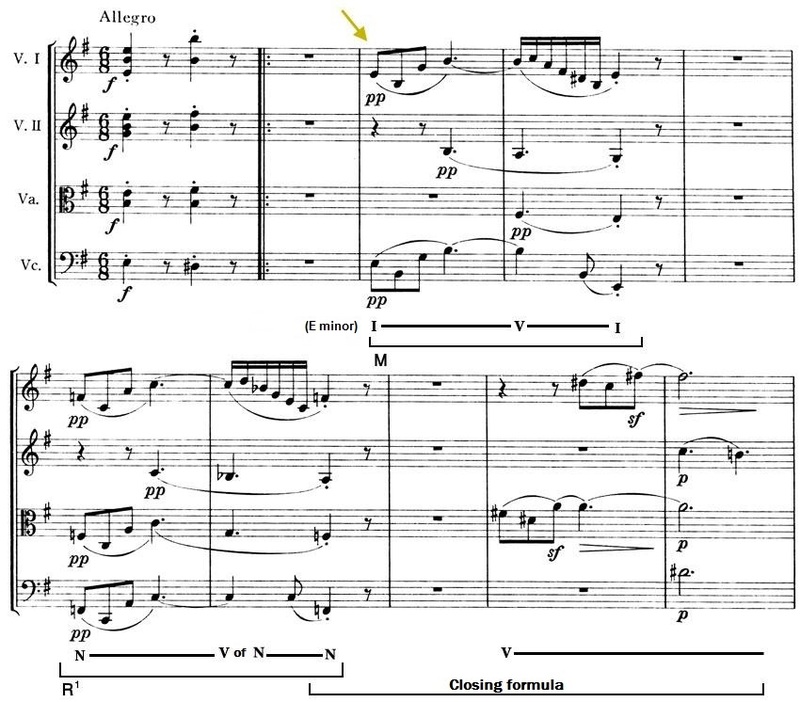 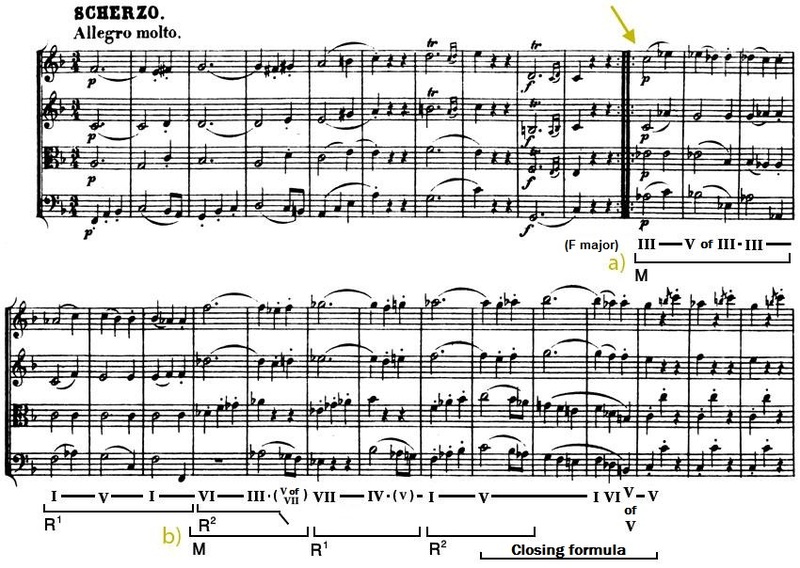 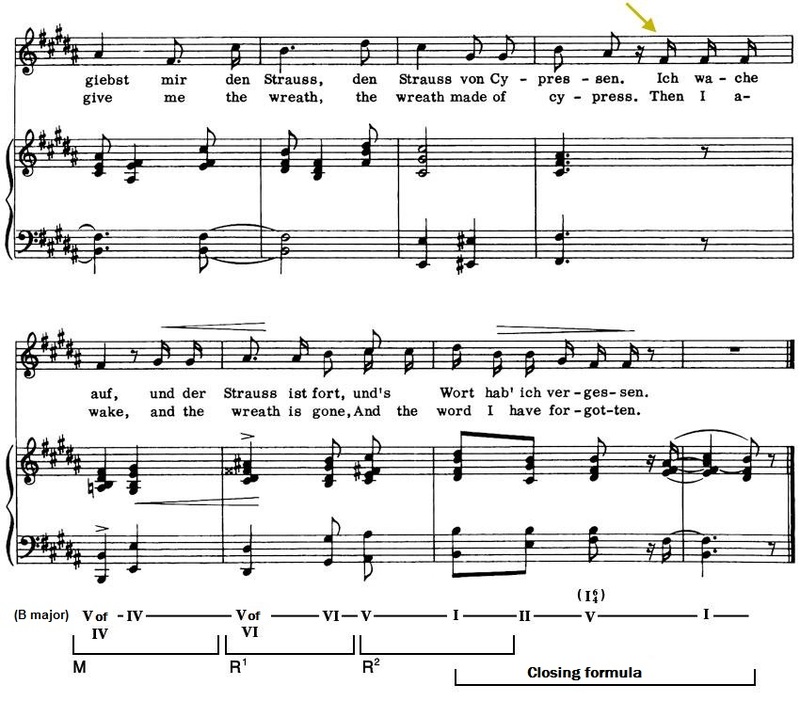 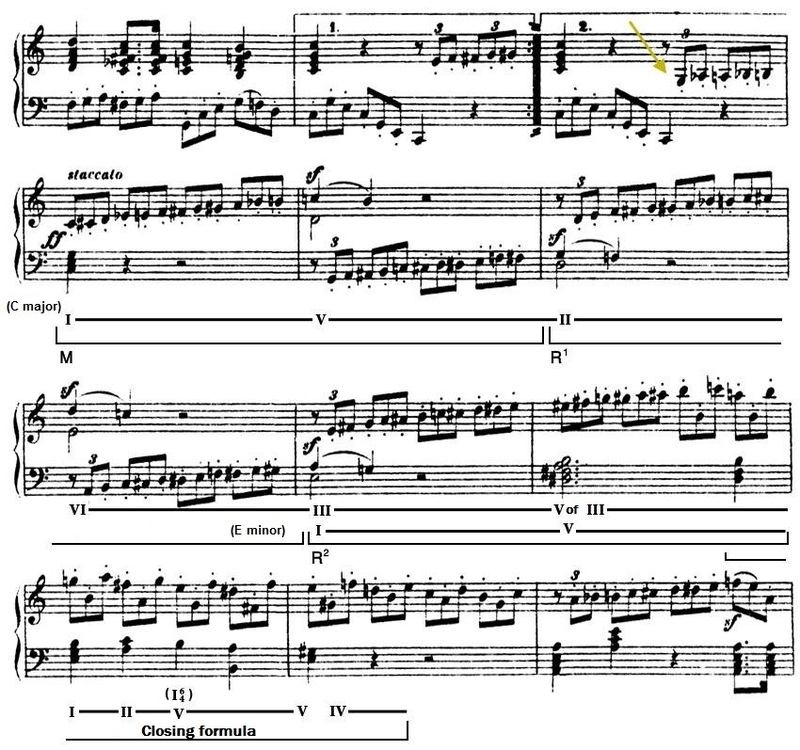 Lastly, we will proceed to the harmonic division of an excerpt from Mozart's Requiem, the Confutatis, which offers in remarkably close juxtapostion a whole row of formulas and sequences, the two main categories of constants in the harmonic discourse from Bach to Wagner that our research has, in the end, identified and caused to emerge. 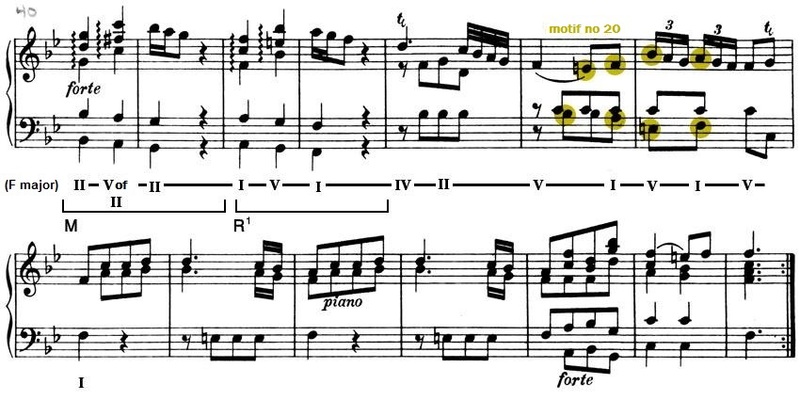 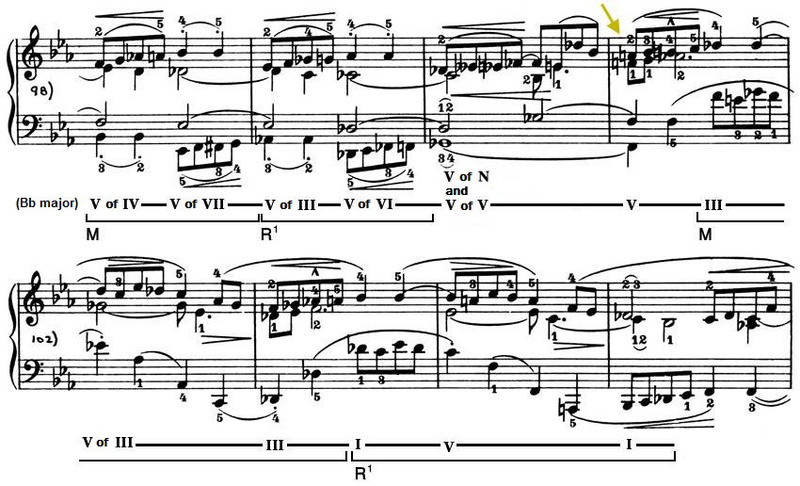 Note above, at the moment of the function VII, the use of a perfect minor chord built on the sub-tonic. 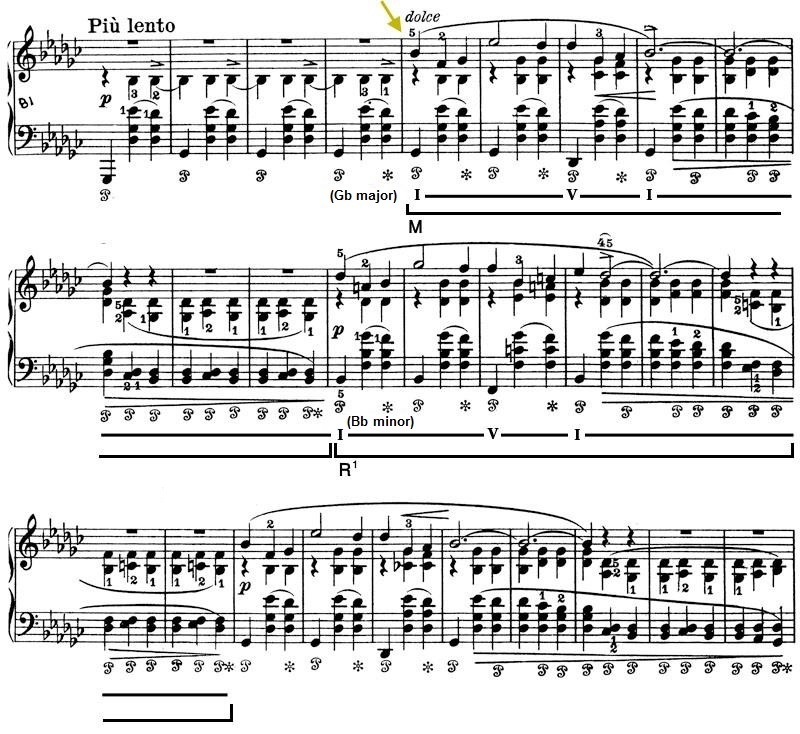 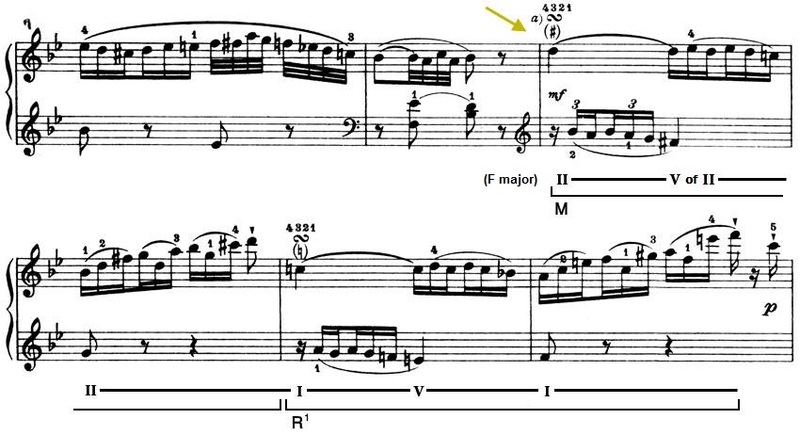 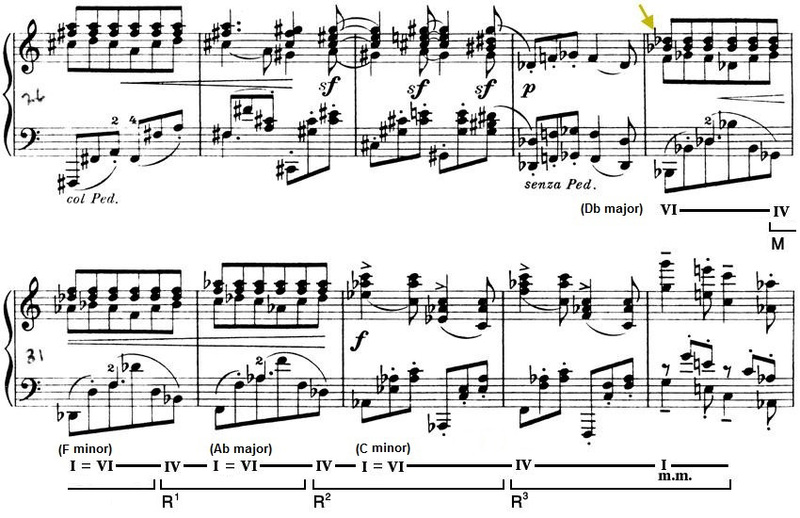 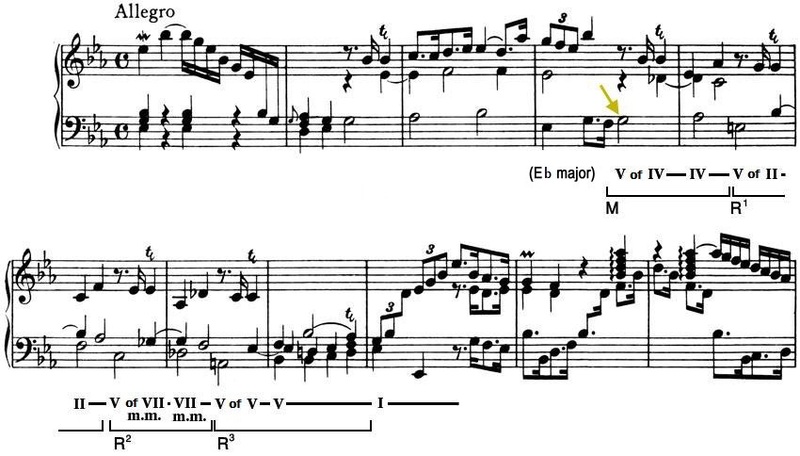 This situation occurs occasionally in the minor mode and can be attributed to an apparent acceptance of the lowered 2nd degree (a necessary component of the Neapolitan chord) as an integral degree of a minor scale.